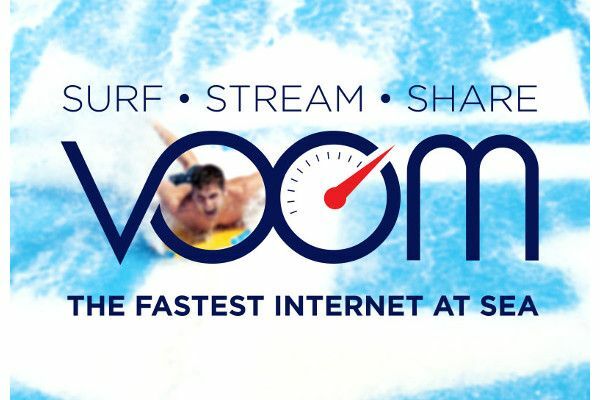 THE FASTEST, HIGH SPEED INTERNET AT SEA IS HERE INTRODUCING VOOM ! It's EXCLUSIVE to Royal Caribbean International. 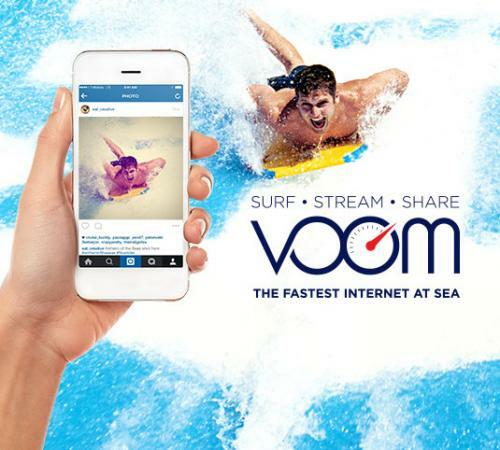 Beginning today, Royal Caribbean International is making VOOM, its exclusive, high-speed internet service – the fastest at sea – available fleetwide on its 24 innovative ships sailing worldwide. 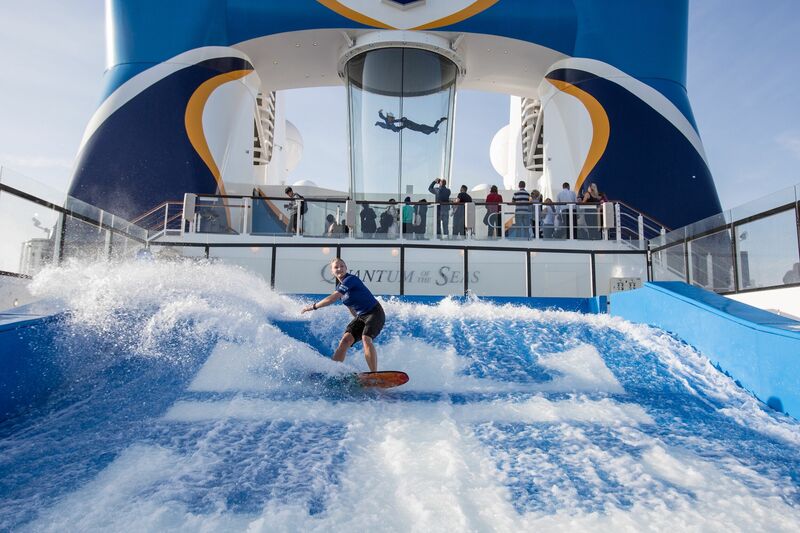 VOOM, first introduced on the Quantum class of ships, including the US$1 billion Ovation of the Seas which is soon to call Australia home, allows guests holidaying with Royal Caribbean to always stay connected and to stream their favourite music, movies and TV shows to stay up to date on the latest happenings. Whether they are posting envy-inducing holiday photos on Instagram or Snapchat, or video-chatting with loved ones back home using FaceTime or Skype, travellers can share their adventures in real-time with family and friends. Guests can even relax or chill poolside while catching up on their favourite TV show or the newest movie. * Surf, which provides guests the opportunity to surf the web, stay in touch via email, and share their holiday photos on social media. Surf packages start at US$12.99 per device per day with additional devices added at a discounted cost. Family packages – 5 devices or more – start as low as US$8.99 per device per day. * Surf and Stream, which is ideal for guests looking to do more than connect via email or social channels, but also want the capability to stream movies and music from Netflix or Spotify, and to connect using video chat apps such as Skype. This package is available for US$17.99 per device per day. Additional devices can be connected at a discount and family packages – 5 devices or more – start as low as US$11.99 per device per day. NAVY'S YOUNG NAVIGATORS NAVIGATING BY THE STARS ON PACIFIC PEARL. Navy’s Young Navigators Navigating By The Stars On Pacific Pearl. The ancient art of celestial navigation was revived on P&O Cruises’ Pacific Pearl recently, with the cruise line hosting Royal New Zealand Navy trainees during a cruise to Fiji from Auckland. In a high-tech world dominated by GPS and satellite navigation, navy personnel are still required to learn how to guide a vessel by the stars when out of sight of land in much the same way as early sea explorers. While the training is usually completed onboard a Navy patrol vessel, the New Zealand Defence Force's ongoing commitment to the relief mission in Fiji following Cyclone Winston meant that the navigation students needed another ‘floating platform’ for their training. 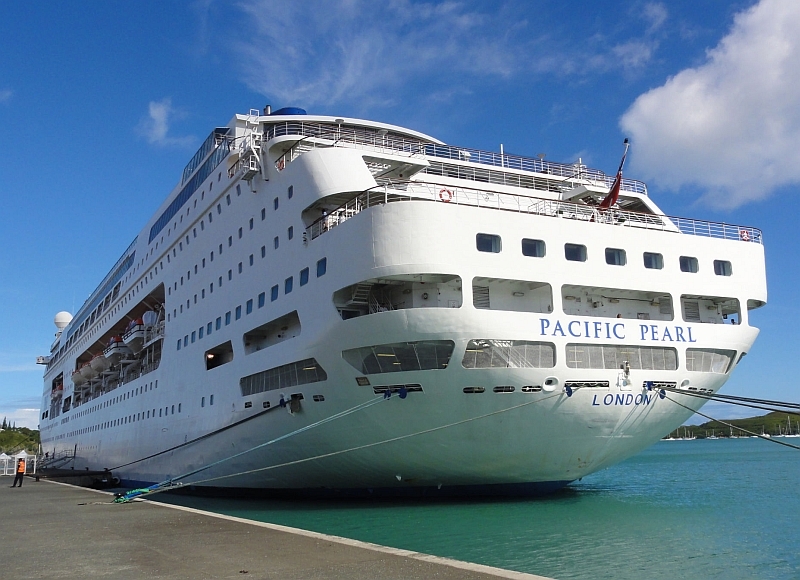 Navy Commander David Hedgley, who has 40 years’ naval experience and runs the training, approached P&O Cruises with a request to conduct the course on Pacific Pearl, which is currently homeported in Auckland for a five-month deployment. 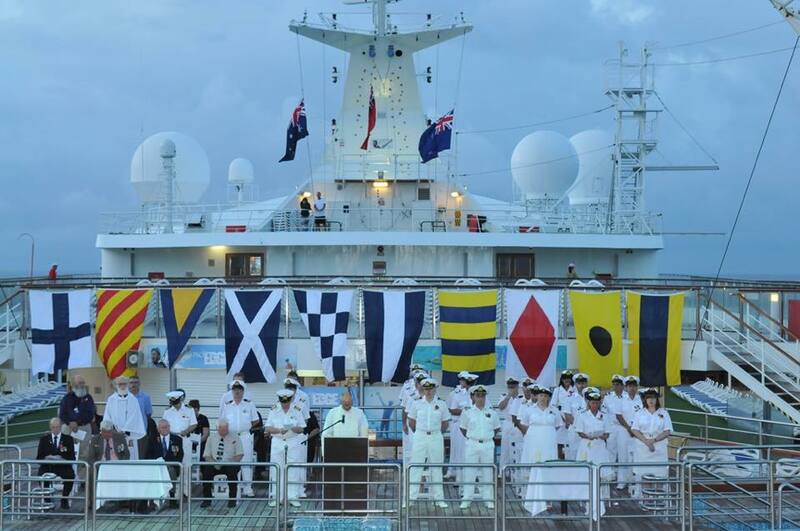 Commander Hedgley said Pacific Pearl’s voyage to Fiji earlier this month was the ideal setting for 11 Navy sailors to undertake the five-day astro-navigation training course. "This training is part of 25-week course towards an advanced Officer of the Watch qualification," Commander Hedgley said. "Even in this age of satellite navigation, being able to navigate by the stars while out of sight of land is a crucial requirement of the Royal New Zealand Navy. “Pacific Pearl's voyage from Auckland was perfect to give us the four to five days needed for this part of the course, and we are incredibly grateful to P&O Cruises for accommodating us, and thank them for their support and hospitality." P&O Cruises Director of Marine Operations Captain Mike Drake said there was no hesitation in enabling the Navy contingent to carry out their training on board Pacific Pearl. “As modern seafarers, we have the utmost respect for the explorers who navigated the world and discovered new lands with little more than a sextant and celestial observation to take them into uncharted parts of the world,” Captain Drake said. “Celestial navigation might have been overtaken by modern navigation technology but it is still an essential skill for up and coming navigators. It is wonderful to know that it is still mandatory for Royal New Zealand Navy navigators. Our guests were fascinated to see the Navy trainees at work and they in turn were a great credit to the naval service.” The officers worked closely with seasoned Pacific Pearl Captain Salvatore Lupo and First Officer Tapan Raina and held a special talk to explain their activity to P&O’s guests, who were fascinated to see the students using sextants to navigate by the stars. 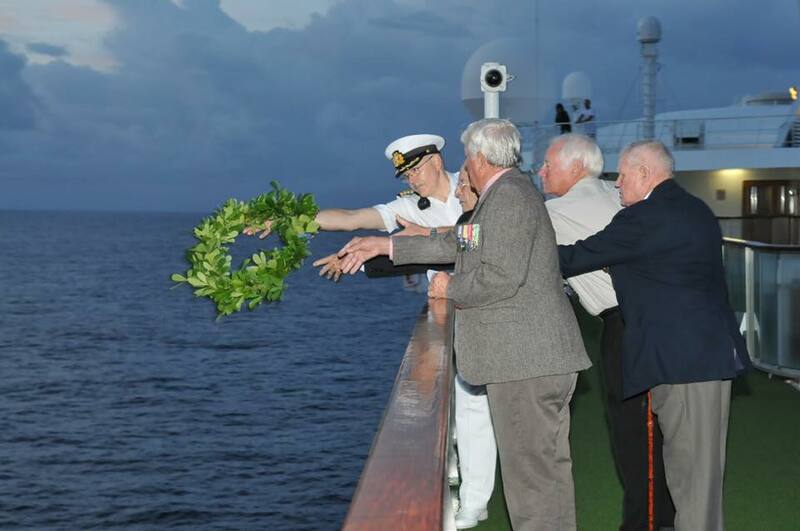 P&O CRUISES' AUSTRALIA STIRRING TRIBUTE TO ANZACS WITH EMOTIONAL ANZAC DAY SERVICES AT SEA. 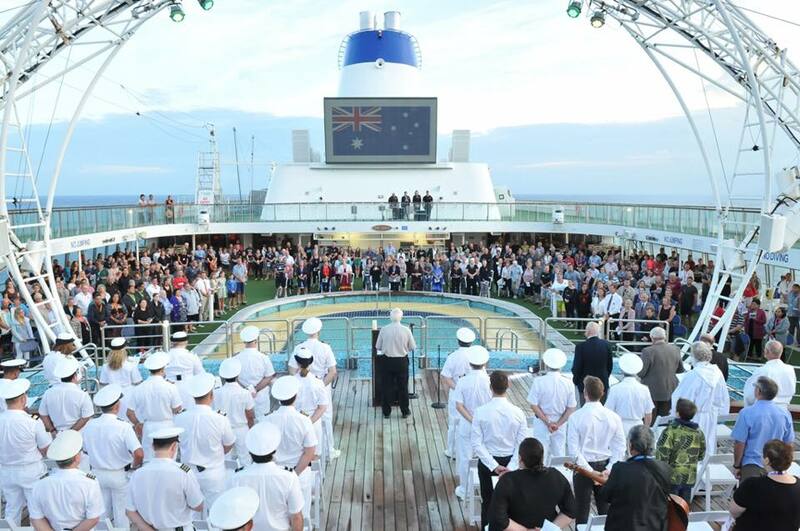 P&O Cruises’ Australia Stirring Tribute With ANZAC Day Services At Sea. Anzac Day has be marked on all five ships in the P&O Cruises’ fleet with Dawn Services held on each ship including a stirring and emotional rendition of the Last Post, the traditional observance of a minute’s silence and the casting of a wreath of remembrance on the sea. It is great to see the crew, staff and veterans who were on board along with fellow passengers unite together for this very special occasion. 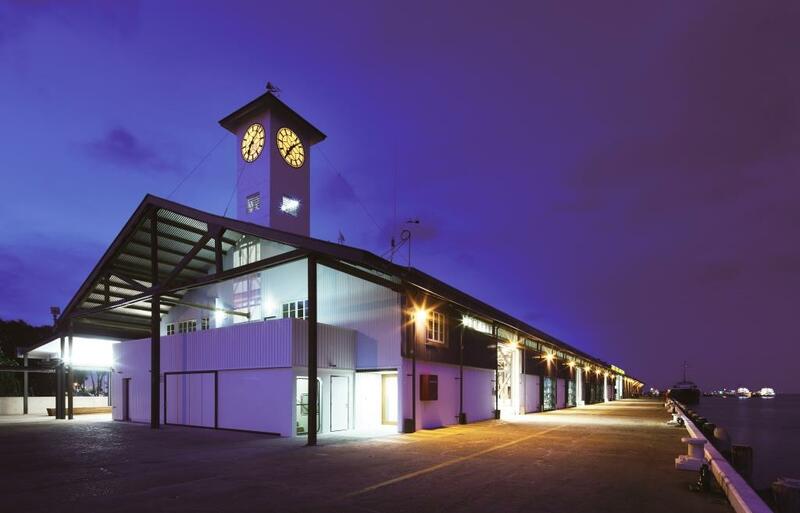 CAIRNS CRUISE TERMINAL TO BECOME A MAJOR CRUISING HUB. Princess Cruises has announced that its three Australian-based ships – Sun Princess, Sea Princess and Dawn Princess – will start docking at the Cairns Cruise Liner Terminal on the city foreshore from June, following new simulator exercises which have shown the ships can safely traverse the channel to the city’s harbour. The move is great news for the local economy with tens of thousands of Princess passengers now having immediate access to Cairns from the cruise terminal, instead of spending time transferring by tender boats from ships anchored at Yorkeys Knob, north of the city. The new berthing arrangements will start from June 8 this year when Dawn Princess is scheduled to call in the city. A further 16 scheduled calls to Yorkeys Knob between September 2016 and September 2017 will now also be transferred to the terminal. Princess Cruises Vice President Australia & New Zealand Stuart Allison said the breakthrough followed new information which had made it possible to do more extensive simulator exercises to map the ships’ passage through Cairns harbour and Trinity Inlet. The simulations were conducted with Cairns Harbour Master, Ports North Marine Pilots, Princess Cruises Marine department and a captain of Princess’ three Sun class vessels. Cairns has always been an exciting port with our guests, even when they have to take tender transfers from Yorkeys Knob. With our ships now docking in the heart of the city, our passengers will be able to spend even more time exploring Cairns and its surrounds, which will deliver even greater benefits to the city.” “We have always wanted to berth at the Cairns terminal, so it’s fabulous that technology combined with the new information has now shown us the way,” he said. CRUISE MONTH SET FOR OCTOBER, AS AUSTRALIA CONTINUES CRUISING BOOM ! Cruise Month In Australia Set For October As Australia Continues Cruising Boom ! Cruise Lines International Association (CLIA) Australasia has announced the expansion of its annual Cruise Week promotion with the launch of a new month-long cruise campaign this October. The move is part of a global roll out of CLIA’s “Plan a Cruise Month”, which will see CLIA offices around the world synchronise their cruise promotion for the first time. CLIA Australasia Commercial Director Brett Jardine said the extended cruise campaign was first introduced in the US last year. “As the cruise industry continues to boom in Australia and around the world, a week is no longer enough time to promote cruising. It’s a natural progression to follow our colleagues in North America in expanding our annual cruise campaign to a full month,” Mr Jardine said. Mr Jardine said October was particularly timely Down Under as it coincided with the start of the peak cruise season. Similar to Cruise Week, “Plan a Cruise Month” will aim to raise consumer awareness of cruising. The first CLIA Australasia month-long promotion will focus on providing agent members with the tools and resources to promote cruise holidays to new and current clients while also highlighting the expertise of CLIA certified travel agents as the best port of call for holidaymakers wanting to take a holiday at sea. ““Plan a Cruise Month” will provide the perfect platform for travel agents, cruise lines and industry partners to showcase the many attributes of a cruise holiday and underline that there is a cruise for everyone,” Mr Jardine added. More details on the initiative, as well as tools and resources will be available in the coming months. For more information visit www.cruising.org.au in Australia and www.cruising.org.nz in New Zealand. CARNIVAL CRUISE LINE IN AUSTRALIA SET TO INTRODUCE, CARNIVAL JOURNEYS PROGRAM. From disco stars to star-gazing, Carnival Cruise Line is offering guests on its transpacific cruises a range of new onboard experiences, following the Australasian debut of its Carnival Journeys program. Designed for longer voyages, Carnival Journeys aims to deepen passengers’ connection with their cruise destinations and provide new learning opportunities, while making the days at sea even more fun. As they cruise between exotic ports, passengers can find out more about the music and dance of their different destinations through new local entertainment classes. Also on offer are special Academy of Fun sessions, blending informative classes with Carnival’s trademark sense of fun to help guests build their knowledge across a wide range of areas from photography, astronomy and art to food and social media. Cruise fans love the program’s Throwback Sea Days, which turn back time to a 1987 Carnival cruise. With crew members wearing the uniform of the era, guests are served up a day of retro pool and deck games, while at night time they can boogie in the disco, enjoy an eighties dinner menu complete with Baked Alaska, and indulge in a midnight buffet. More time at sea also means there is more opportunity to get to know the crew, with Carnival Journeys delivering Cruise Connection events including Q&A sessions with key officers, galley tours, a crew talent show and a crew meet and greet event. Carnival Cruise Line Vice President Australia Jennifer Vandekreeke said the local debut of Carnival Journeys followed its successful launch in the US last year. “Cruise fans love longer cruises so we know that they’ll be excited by the extra opportunities that Carnival Journeys provides to really immerse themselves in their holiday,” Ms Vandekreeke said. 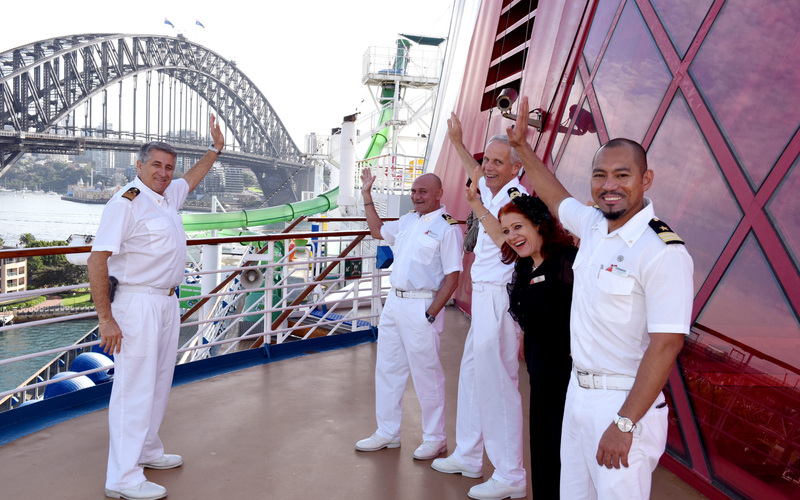 The Australian Carnival Journeys program premiered on Carnival Legend on Monday (April 18) as she sailed from Sydney on her redeployment to the US for the northern hemisphere summer. Carnival Legend will return to Sydney for another extended season Down Under on September 23. 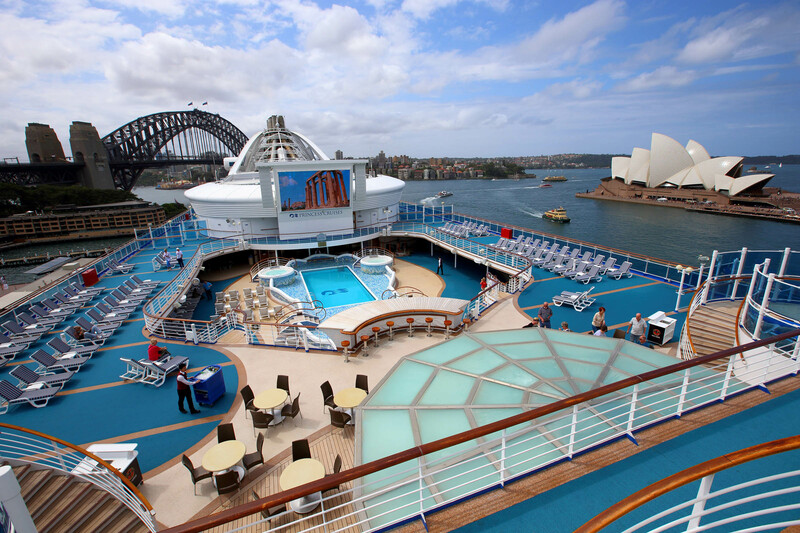 THE BIGGEST AND THE BEST ROYAL CARIBBEAN SEASON IS NOW OPEN FOR SALE IN AUSTRALIA ! The BIGGEST And The BEST Royal Careibbean Season Is NOW OPEN For Sale In Australia. The world’s most innovative cruise line, Royal Caribbean International has today opened its 2017/18 Australian summer season for sale, including cruises for the US$1 billion Ovation of the Seas’ second local season. To celebrate, Royal Caribbean is offering launch savings of up to $1,300 per person off the standard cruise fare when booked before 31 May 2016. Fares start from as little as $999 per person for an eight-night South Pacific roundtrip cruise onboard Voyager of the Seas, departing Sydney on 12 December 2017. Or choose a three-night taster cruise departing Sydney on 2 February 2018 from $399 per person, also onboard Aussie favourite, Voyager of the Seas. Together, Ovation of the Seas, Explorer of the Seas, Voyager of the Seas and Radiance of the Seas will offer 66 sailings ranging from two to 23 nights during the 2017/18 season. From September 2017 through to April 2018 the four megaliners will call at 46 ports across Australia, New Zealand, the South Pacific, Asia and North America with departures from Sydney, Fremantle, Auckland, Singapore, Honolulu and Seattle. Highlights of the season include family-fun sister ships Voyager of the Seas and Explorer of the Seas sailing predominantly South Pacific itineraries, while Ovation of the Seas and Radiance of the Seas will cruise Australia and New Zealand. The 2017/18 season will see more overnights such as Adelaide for Explorer of the Seas and Radiance of the Seas, new destinations such as Wollongong, and more open-jaw itineraries like Radiance of the Seas’ sailings between Sydney and Auckland. 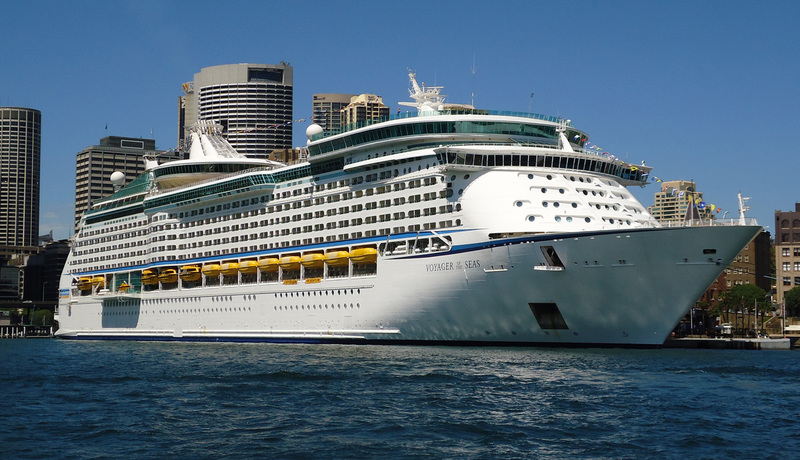 Royal Caribbean International remains the biggest cruise line in Sydney over the summer season – with bigger ships carrying more guests than any other cruise line. For further information or to book a Royal Caribbean cruise, visit www.royalcaribbean.com.au, OR see here RCI_17-18_ProgrammeRelease_AU_FA_WEB.pdf and phone 1800 754 500 or see your local travel agent. CARNIVAL LEGEND BIDS FAREWELL TO SYDNEY, TO RETURN NEXT SEASON ! Crew and staff on board the wonderful Carnival Legend said their goodbyes to Sydney yesterday afternoon as the ship set sail for Hawaii following its extended summer season in Australia. 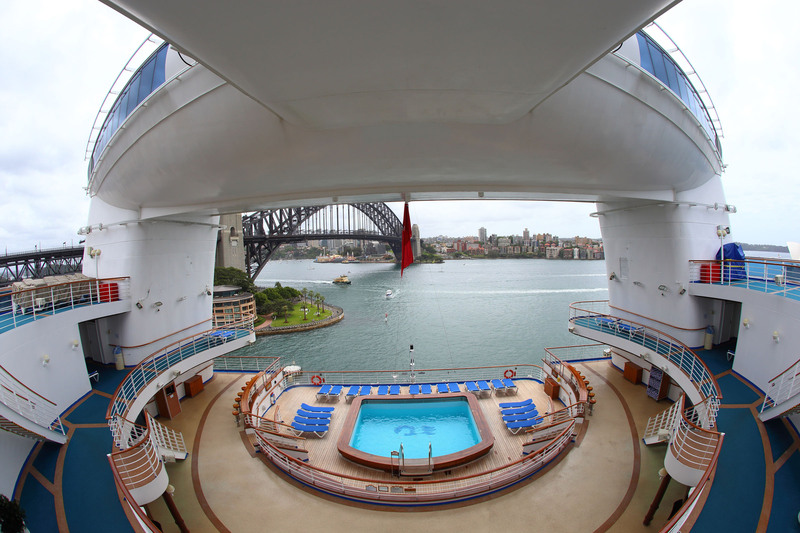 Carnival Legend has carried more than 50,000 Australians on 20 roundtrip cruises from Sydney over the past six months. She will return to our shores again on October 11 this year for her third summer of cruising alongside Carnival Spirit, which is based in Australia year round. SUN PRINCESS COMPLETES MEGA MAKEOVER, WITH SOME STUNNING NEW ADDITIONS. Australian holidaymakers will be able to enjoy the first taste of Curtis Stone’s cuisine close to home, with the celebrated Australian chef’s acclaimed new restaurant SHARE now featuring on Princess Cruises’ superliner Sun Princess following a multi-million dollar refurbishment this month. 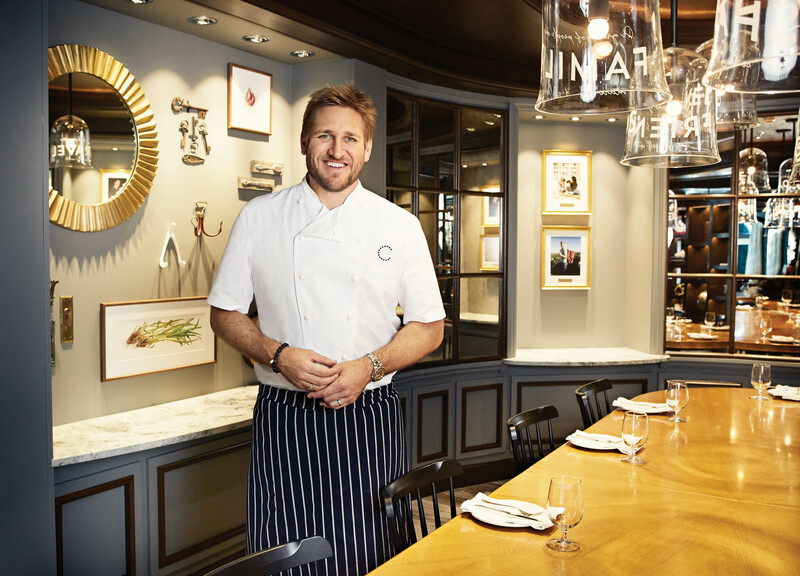 As part of the chef’s exclusive partnership with the cruise line, SHARE by Curtis Stone has been added to select Princess ships with Sun Princess the first to offer the signature restaurant down under. 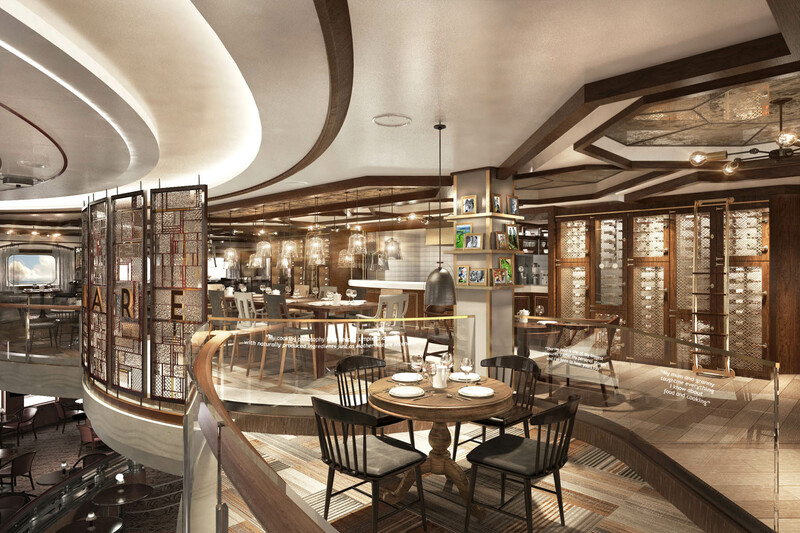 Emerald Princess, which arrives in Sydney in November for its first Australian season, also features Chef Stone’s SHARE restaurant. As the name suggests, the SHARE menu and restaurant has been designed to encourage diners to connect with each other and share holiday memories over a delicious meal. Princess Cruises Vice President Australia and New Zealand Stuart Allison said it was a thrill that Sun Princess has become the venue for Curtis Stone’s first Australian-accessible restaurant at sea. The internationally-known chef opened his award-winning restaurant in 2014, Maude, located in Beverly Hills, and is expected to open his second restaurant in Hollywood, Los Angeles, this summer. “We couldn’t be more excited about SHARE’s debut down under on Sun Princess. Australians are very familiar with Curtis Stone but without a restaurant here, they haven’t been able to taste his dishes – until now. We know our guests will enjoy the special menu Chef Stone has created for SHARE and will relish the opportunity to share some wonderful food with friends and family in his new onboard restaurant. We'll be revealing some of the exclusive dishes to be served onboard in the coming weeks,” Mr Allison said. 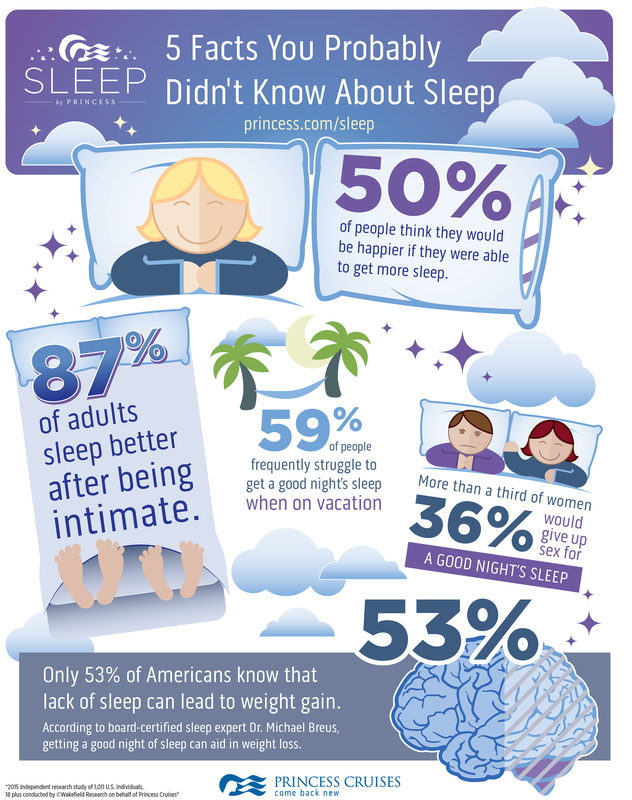 During its 14-day dry dock in Singapore, Sun Princess also became the first Australian-based ship to offer the new Princess Luxury Bed, designed in partnership with US sleep expert Dr Michael Breus, known as “The Sleep Doctor” and US TV design star Candice Olson. Developed exclusively for the cruise line by the manufacturer of some of the most comfortable hotel beds in the world, the luxury beds feature a plush, five centimetre thick mattress topper, a 23-centimetre, single-sided medium firm mattress for enhanced support, individually wrapped coils for less partner disturbance, a European-inspired duvet and 100 per cent luxurious Jacquard-woven cotton linens. In entertainment enhancements, Sun Princess has provided the stage for the Australian debut of Princess' highest rated stage show, Bravo, a celebration of musical theatre and opera featuring many of the ship's musicians, singers and dancers, plus guest soloists serenading guests through an evening of musical appreciation. Meanwhile, the ship’s Kai Sushi restaurant has become the Kai Seafood Bar with a brand new wine and fresh seafood experience exclusively designed for the Australian market and unique to Sun Princess. The Kai Seafood Bar will satisfy cravings for freshly shucked Australian oysters, prawns, sashimi and shellfish at sea. A New Zealand Natural ice cream outlet will be added to the pool deck and Amuleto Café will offer Italian-style coffee and cakes as part of a refurbishment in the Horizon Court dining area. Like Sea Princess, Sun Princess now also sports a new Legends bar, showing great Australian sporting moments from weekly AFL and NRL matches through to the Australian Open on multiple LED screens. Sun Princess will sail from Brisbane, Sydney and Fremantle with fares starting from $1199* per person twin share for a 10-night roundtrip cruise from Sydney to New Caledonia and Vanuatu. 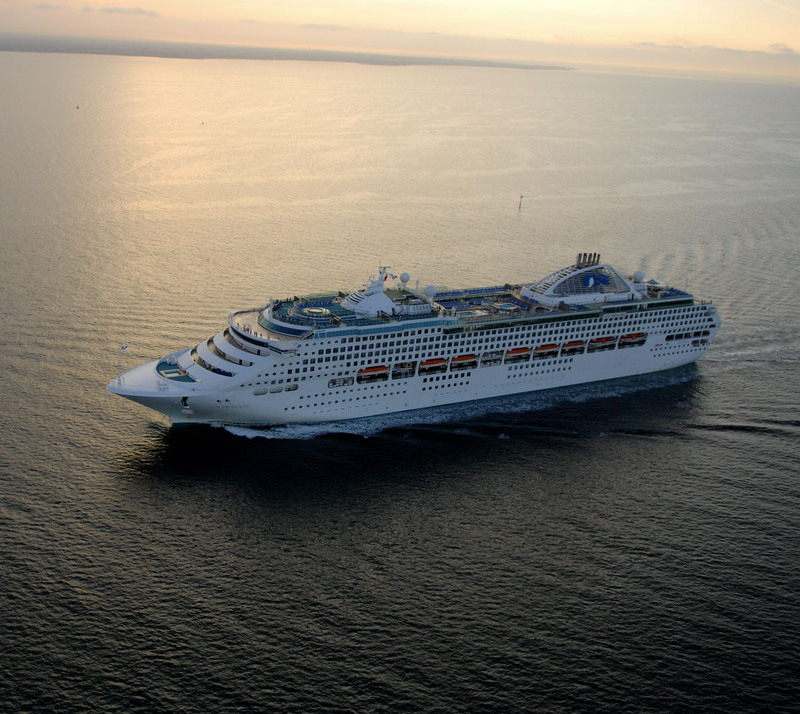 For information about Princess Cruises visit www.princess.com, call 13 24 88 or visit a licensed travel agent. CARNIVAL CRUISE LINE AUSTRALIA SET FOR A SPECIAL ANZAC DAY 2016. Passengers onboard Carnival Legend will be in the company of a special guest this Anzac Day, with Vietnam War veteran and Returned and Services League representative Bob Metcalfe joining passengers for the ship’s commemorative Anzac events. With Carnival Legend sailing the Pacific en route to Hawaii on April 25, Anzac Day will be marked with a dawn service during which Mr Metcalfe will read The Ode and lay a wreath. The service will be followed by breakfast, Anzac biscuits and game of two-up. Carnival Legend and Carnival Spirit, which will be in port in Sydney on April 25, will both offer a screening of the movie Gallipoli and a friendly game of backyard cricket in the spirit of the day. Carnival Cruise Line Vice President Australia Jennifer Vandekreeke said the cruise line was honoured to have Mr Metcalfe join Carnival Legend for the poignant occasion. “Anzac Day is an important occasion for our guests. It’s a day of remembrance and reflection but also a celebration of the Anzac spirit and we are pleased to have Mr Metcalfe join us for the service,” she said. Mr Metcalfe, a state councillor for the New South Wales Returned and Services League, joined the Australian Army at 19 and served in South Vietnam with 5 Coy. 85 Transport Platoon in Nui-Dat. He was part of the withdrawal forces from Nui-Dat to Vung-Tau in 1971, which was the final involvement of Australian Forces in Vietnam. 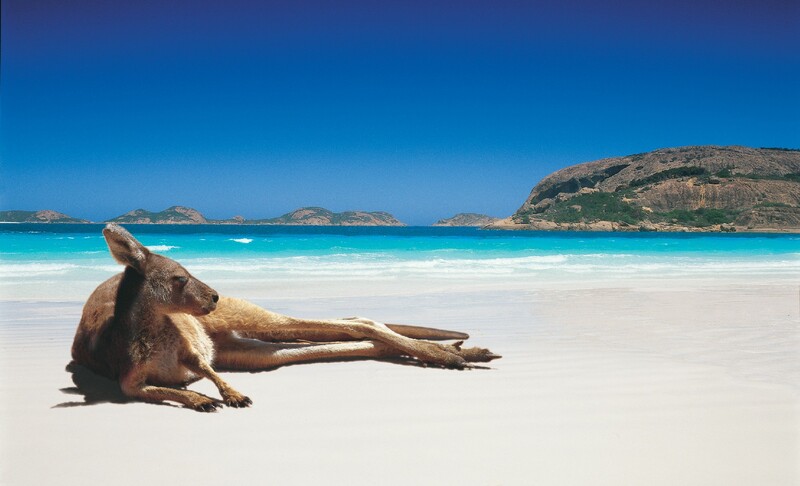 Cruise The Seas Travel And Media, Cruising Australia The HOME Of Australioan Cruising! P&O CRUISES AUSTRALIA EMBARKS ON BIGGEST EVER WA SEASON ! Western Australia's economy is about to get a multi-million dollar injection with P&O Cruises today launching its biggest ever season of cruising from Fremantle. Over the next three months, the cruise line's latest ship Pacific Eden will sail from the WA port on a series of 16 cruises, which is expected to generate more than $20 million for the state in passenger and crew spending, supplies and port charges. During its season Pacific Eden will carry more than 25,000 passengers and make 34 calls to Western Australian ports, on itineraries featuring the state's coastline as well as nearby Asian ports. Speaking in Fremantle today, P&O Cruises Vice President Sales and Marketing Simon Cheng said Pacific Eden would call at Fremantle 16 times between April and July, while Geraldton, Broome and Exmouth would each receive four visits and Busselton and Esperance would both receive three. This year's season is markedly bigger than P&O's previous record, created last year when Pacific Jewel was based in Fremantle for two months for a season of seven roundtrip cruises from the port. Mr Cheng said the 2016 record P&O season had been made possible by the expansion of P&O's fleet last November, with the addition of Pacific Eden and her sister ship Pacific Aria. He said about 25 per cent of the guests cruising on Pacific Eden out of Fremantle would be interstate travellers, bringing valuable tourist dollars to the State. "Pacific Eden's Western Australia season not only gives the state's holidaymakers the ability to enjoy a cruise from their doorstep, it also opens up more opportunities for interstate fly-cruise passengers, which helps build the valuable pre and post-cruise tourism market," Mr Cheng said. Pacific Eden will carry hundreds of thousands of tonnes of local goods and produce during its WA season, injecting more dollars into the local and surrounding communities. "Each cruise requires significant quantities of food and beverage and during the Fremantle season more than 230,000kgs of local fresh fruit and vegetables, 5000kgs of cheese, 50,000 litres of milk and 25,000 eggs will be consumed by guests," Mr Cheng said. "Western Australia produces some of the best wine in the country and in 2015 P&O Cruises purchased more than 8300 bottles of premium local Western Australian wine for our fleet. Following the recent fleet expansion we expect this number to grow by up to 30 per cent in 2016." OVATION OF THE SEAS READY TO UNVEIL THE MOST IMPRESSIVE ARKWORK ONBOARD A SHIP AT SEA ! Ovation Of The Seas Ready To Unveil The Most Impressive Artwork On Board A Ship At Sea ! The newest, biggest and most technologically advanced cruise ship to ever be deployed to Australia, Ovation of the Seas, has revealed a vast 11,000-piece, US$4.5 million dollar art collection that was inspired by the ship’s multiple exotic destinations. Curated by London-based Peter Millard and Partners and inspired by Confucius’ words “Wherever you go, go with all your heart,” the collection features contemporary pieces from artists from around the world. One of the ultimate photo ops onboard Ovation of the Seas is “Mama and Baby,” a larger-than-life commission designed by a U.K.-based artist Jo Smith. 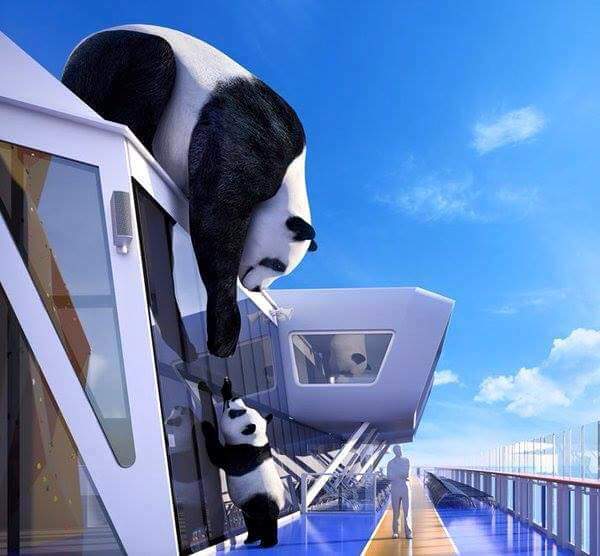 Perched atop the SeaPlex on deck 15, the piece depicts a mother panda and her cub, reaching out to one another. Considered a symbol of good luck in Chinese culture, the peaceful creatures with the distinctive black and white coat are intended to bestow peace and prosperity on all who interact with them. The pandas are also a playful nod to the cruise line’s newly announced partnership with World Wildlife Fund, which focuses on ensuring the long-term health of the oceans. Together, Mama and Baby weigh approximately six-and-a-half tons. Mama stands 10 meters tall from the deck to the top of the sculpture, while Baby is approximately three meters tall. As if the moniker Mama and Baby couldn’t get any more special, Ovation’s crew will have the honour of naming them when the ship sets sail, a custom for Royal Caribbean crew members as done for sister ship installations – Quantum of the Seas’ Felicia the Bear and Anthem of the Seas’ Gigi the Giraffe. 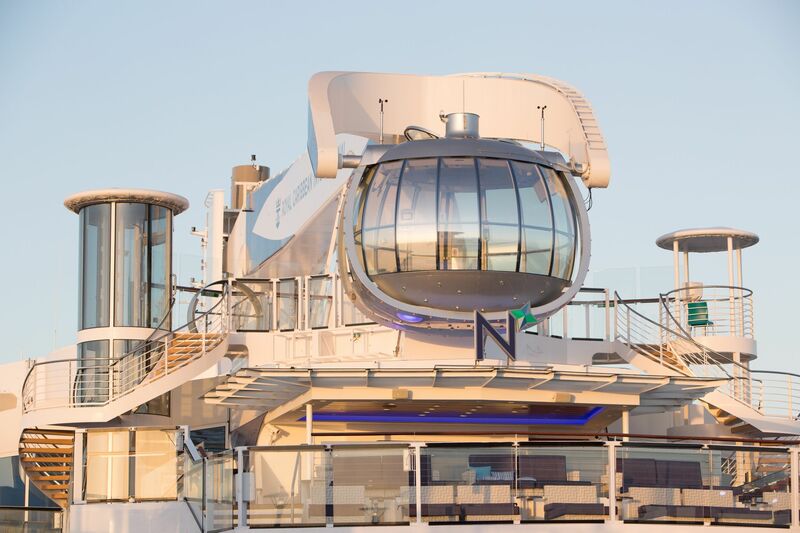 It wouldn’t be a smart ship without smart art, and the Quantum class hallmark of high-tech pieces continues onboard Ovation with “Sky Wave,” a piece sure to be a guest favourite. Created by New York-based Hypersonic and Boston-based Plebian Design, Sky Wave is the first ever kinetic moving sculpture at sea. The installation pivots and curves at different points to mirror the flow of both wind and water. Further inspiration was also taken from the ship’s movement, culminating in a piece that combines both maritime elements and engineering. 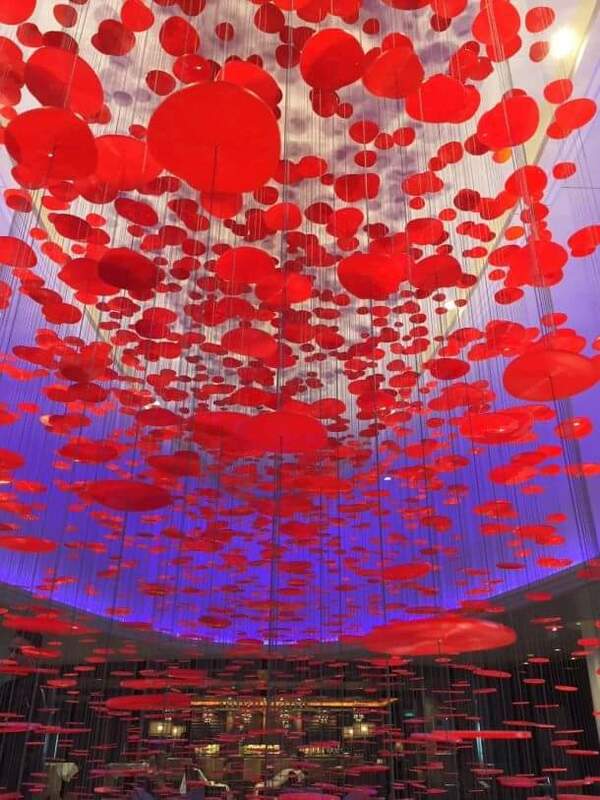 Each petal in Sky Wave is made of handcrafted fiberglass and varies in length to hone the flawless rolling sway. Located on deck 5 just in the Royal Esplanade, the eye-catching, carefully crafted art piece was commissioned specifically for Ovation. The elevator art on Quantum class is known for selfie-taking, and Ovation of the Seas is no exception. Ovation is elevating the selfie art game with all-new imagery from Chinese photographer Huainan Li’s series, “The World of the Senses.” The powerful series features the futuristic faces of women accented in metallic hues and sporting glasses that reflect a variety of whimsical scenes. The collection of 10 pieces is sure to surprise and delight guests each time they ride from deck to deck, and pack an unexpected punch when the doors open. 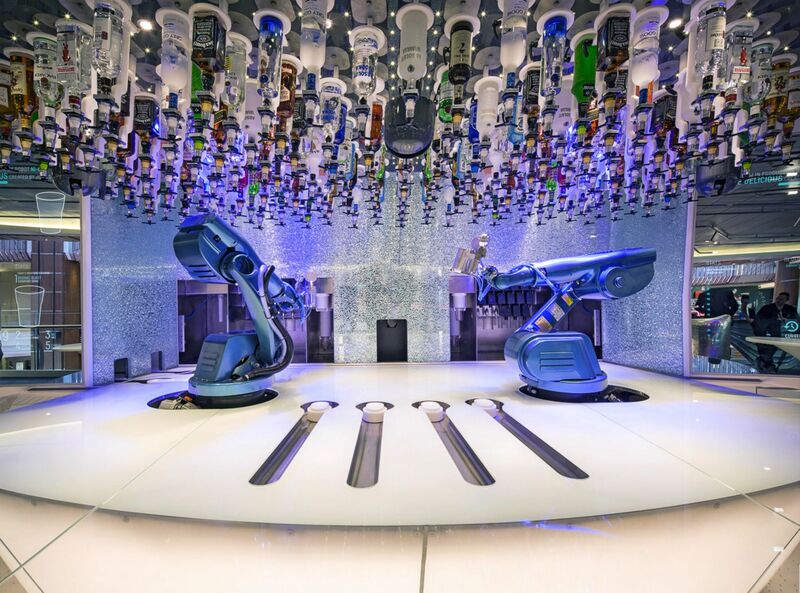 One of the most iconic art locales on Quantum-class ships is the rotunda, which connects mid-ship’s Jamie’s Italian and Vintages. Ovation does not disappoint as passers-by can enjoy the work of Bieli Liu, a Chinese artist who played into the natural movement of the ship with an adaptation from her “Lure” series of installations. The sculpture was created to fit the rotunda location and represents an ancient Chinese legend depicting the red threads that connect Chinese children to their soulmates. A disc may be connected to another, as a pair; and a pair of disks may sprout from a single thread. The installation is designed to suspend from the ceiling forming a vibrant and energetic piece that responds to subtle air currents and movement as the red coils turn, and strands of thread become entangled. 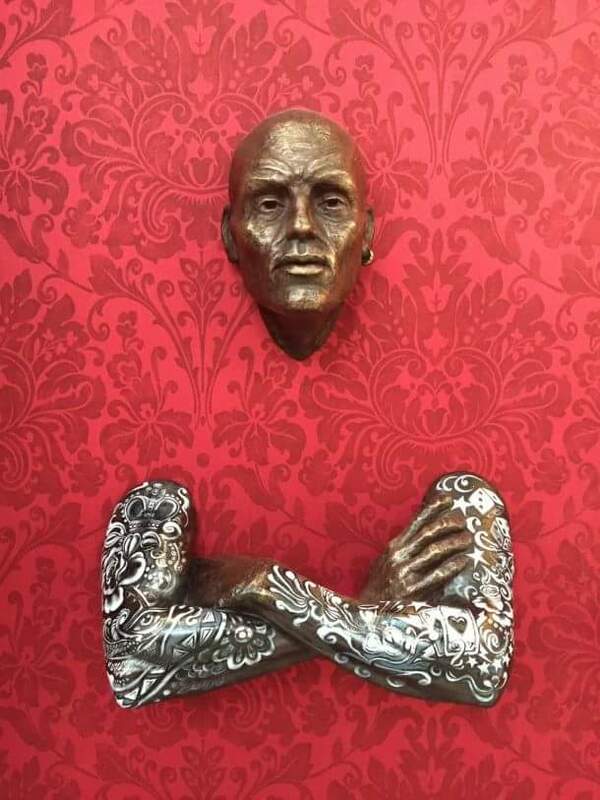 Throughout the entire ship, guests will find curated art at every turn. Heading into the Royal Theater, British artist Dominic Harris engages show-goers with an interactive piece titled “Flutter Wall.” The 120-inch screen showcases butterflies on a black canvas that seemingly fly away as guests walk up for a closer view. A true surprise and delight experience akin to the additional installations that travellers can enjoy onboard. 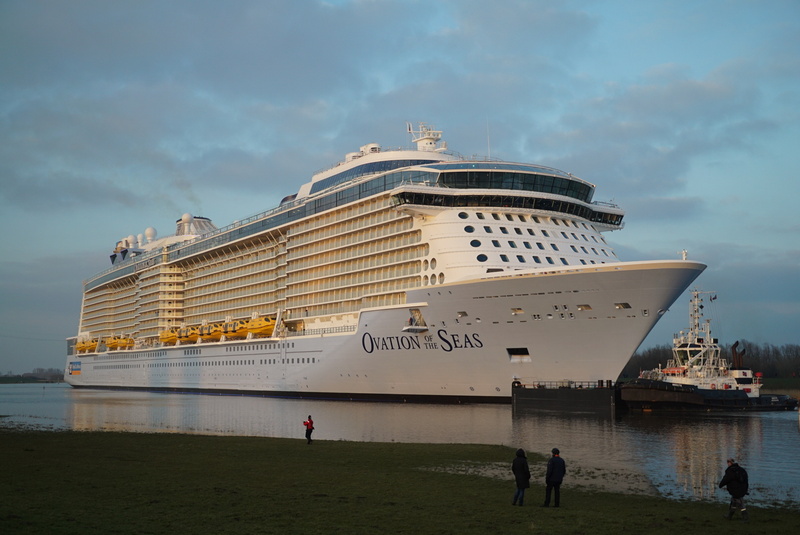 Ovation of the Seas is setting sail from Southampton, UK this week on her 52-day Global Odyssey visiting exotic ports of call from the Mediterranean to the Middle East and Asia before her maiden Australian season from December 2016. 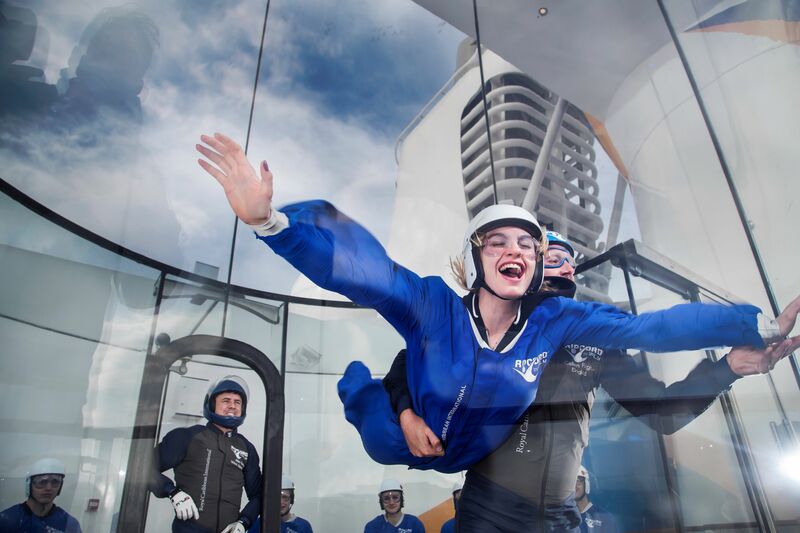 Royal Caribbean International recently announced the extension of the US$1 billion Ovation of the Seas’ maiden Australian season by a month with the addition of four new sailings, giving Aussie guests more opportunities to experience the incredible Ovation of the Seas and her art. The brand also confirmed that Ovation of the Seas will return for a second season in the summer of 2017/18 due to the extraordinary demand for the ship from Australians. 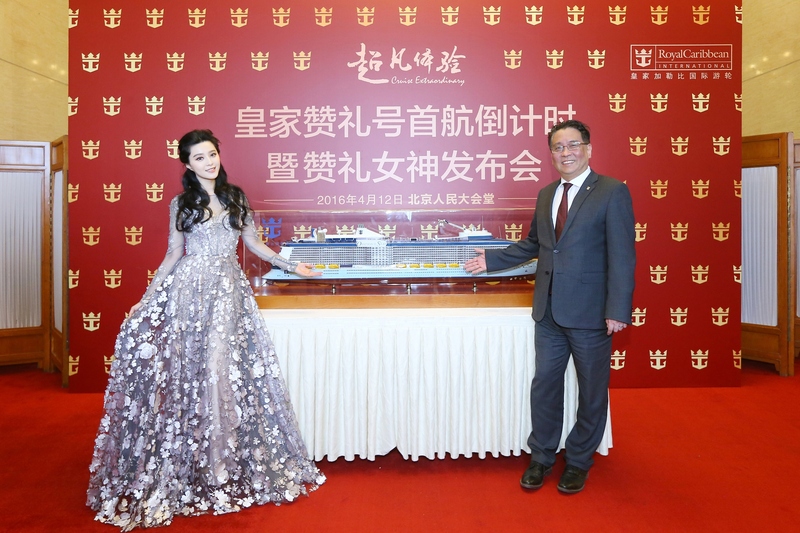 OVATION OF THE SEAS GODMOTHER NAMED, INTERNATIONALLY ACCLAIMED CHINESE ACTRESS FAN BINGBING. Royal Caribbean International today announced that internationally-acclaimed Chinese actress, Fan Bingbing, will be the Godmother for Ovation of the Seas, Asia Pacific’s first new-build cruise ship and the world’s newest and most technologically advanced cruise ship. The announcement was made by Dr. Zinan Liu, President, Royal Caribbean International - China and North Asia Pacific, at a press conference at the Great Hall of People in Beijing. Bingbing is the first Chinese celebrity selected to be the Godmother of an international cruise line and will officially name Ovation of the Seas at the ship’s inaugural ceremony in Tianjin, China on 24 June 2016. Ovation of the Seas will be the biggest, newest and most technologically advanced cruise ship to sail in Australia when she arrives in December 2016. The role of Godmother is a lifetime title bestowed upon an individual, who figuratively presides over the ship and imparts good luck and divine protection over the vessel and all that sail aboard. Traditionally, Godmothers have celebrity status or even royal connections. Godmothers for Royal Caribbean ships have included, performer Gloria Estefan, actress Jane Seymour, comedian/actress Whoopi Goldberg and tennis champion Steffi Graf, to name a few. PRINCESS CAPTURE BREATHTAKING NEW ZEALAND BY VIDEO AT SEA. 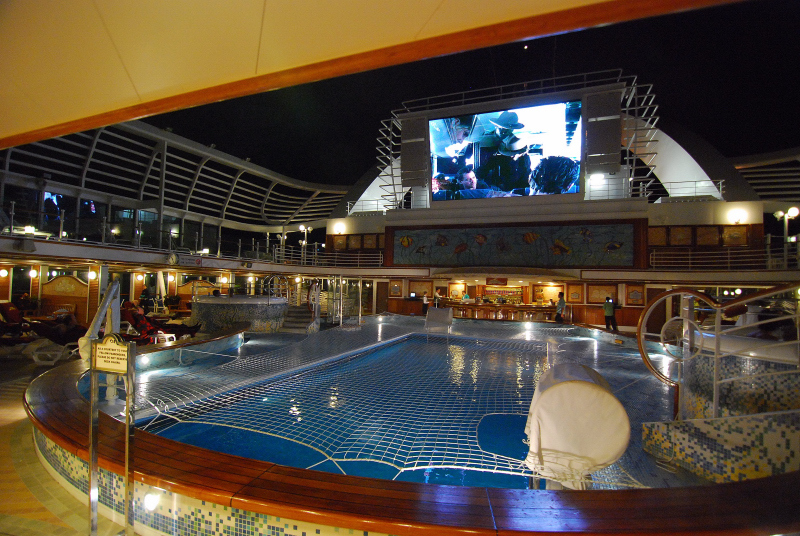 The video was produced by www.Timeflees.com cofounder Filippo Rivetti, who set up five cameras on-board Golden Princess to capture the vision including one with a 360-degree lens. Princess Cruises offers more cruises to New Zealand than any other cruise line, said Mr Allison said. We had commissioned the video in order to portray the beauty of cruising the New Zealand coastline. P&O CRUISES AUSTRALIA TO BRING A TOUCH OF DOWNUNDER TO ASIA. P&O Cruises Australia To Bring A Touch Of Down Under Asia. With winter nearly upon us and Australians love of the surf, sand and the sun P&O Cruises Australia have come up with a getaway from the winter blues. Cambodia’s beautiful seaside town of Sihanoukville, Malaysia’s Langkawi which has some of the best beaches in the world according to some. They will also be offering cruises to the bustling seaside ports of Bangkok, Ko Samui and Phuket. These are just a few of the new destinations that P&O Cruises Australia have to offer. In a statement from P&O Cruises Australia, President Sture Myrmell said the addition of Pacific Eden and sister ship Pacific Aria to the fleet last year had allowed P&O Cruises to offer its first season of Asian cruises, opening up new itinerary possibilities. Its certainly not the first time that P&O Cruises Australia have come up with the idea of taking Australians to different destinations, they are now a leader of taking Australians to more regional ports than any other cruise line in Australia. PRINCESS TO MAKE HISTORY, WITH LOCAL CRUISES FROM ADELAIDE. Princess Cruises To Make History, With Local Cruises From Adelaide. Princess Cruises has announced that it wants to ramp up its local cruise offerings from Adelaide for the first time, making it more accessable for South Australians and Australians alike.Its giving South Australians the perfect opportunity to enjoy a roundtrip voyage to New Zealand from their doorstep. Princess Cruises new 2017-18 summer program will see its stylish Golden Princess make history when she departs Adelaide on a 17-night international cruise to New Zealand on January 8, 2018, with guests set to enjoy calls to Melbourne, Dunedin, Akaroa, Wellington, Gisborne, Tauranga and Auckland during their holiday, as well as scenic cruising through the stunning Fiordland National Park. The cruise is one of 25 roundtrip cruises to New Zealand featured in the summer program, with Princess continuing to offer the biggest range of transTasman departures from cities around Australia. Offering more than 80 departures from cities across Australia and New Zealand, the new program also features Princess’ signature longer voyages, including 28-night cruises around Australia from both Brisbane and Sydney as well as its popular 35-night roundtrip itinerary from Australia to the tropical waters of Hawaii and Tahiti. In being ever so popular with Australians, Princess will also be making maiden visits to South Australia’s Kangaroo Island and Port Lincoln as part of a six-night Golden Princess cruise from Melbourne or a four-night cruise from Adelaide to Melbourne. 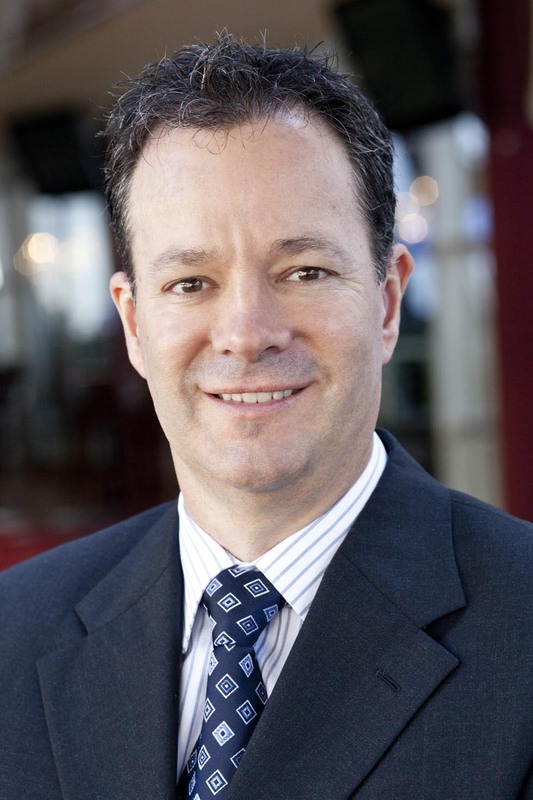 Releasing details of the 2017-18 program, Princess Cruises Vice President Australia & New Zealand Stuart Allison said the popular Diamond Princess would return to Sydney for a summer of cruising, joining Golden Princess, Sea Princess and Sun Princess to offer cruises from Sydney, Melbourne, Brisbane, Adelaide, Fremantle and Auckland. Diamond Princess and Golden Princess will also sail on exotic cruises between Australia and Singapore and Japan during the season, with both ships featuring Australian onboard currency and a no tipping policy on their repositional voyages to and from Australia for the first time. Mr Allison said Princess was excited to be featuring more of South Australia in its itineraries. 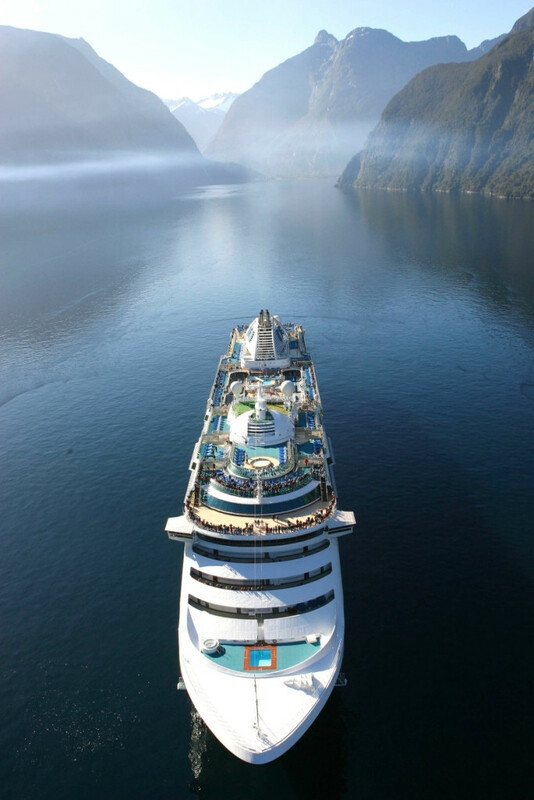 “With cruising booming around Australia, Princess is thrilled to be adding Adelaide to its homeport offering, providing South Australians with their first ever chance to cruise to New Zealand from their doorstep,” Mr Allison said. 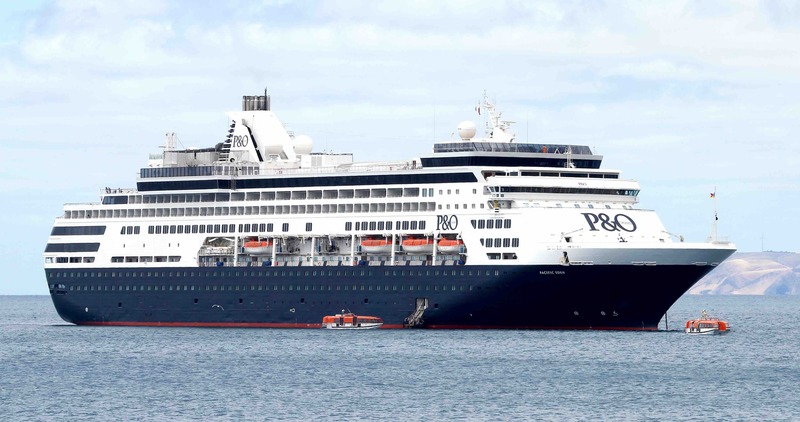 Reinforcing its position as the leader in cruises to New Zealand, Princess has also scheduled longer calls in Auckland on its cruises from Sydney, with ships now sailing from the North Island city in the late evening to enable guests to enjoy more ashore time. A 12-night roundtrip cruise to New Zealand from Sydney on Diamond Princess departing January 25, 2018 with fares from $1999* per person twin share. A six-night Golden Princess roundtrip cruise to South Australia departing Melbourne on January 23, 2018 and visiting Adelaide, Port Lincoln and Kangaroo Island. Fares start from $1099* per person twin share. A 28-night round Australia cruise from Brisbane on Sea Princess departing March 22, 2018 or from Sydney departing March 24, 2018. The cruise will visit 12 different ports and includes scenic cruising along the Kimberley Coast. Fares start from $4649* per person twin share. 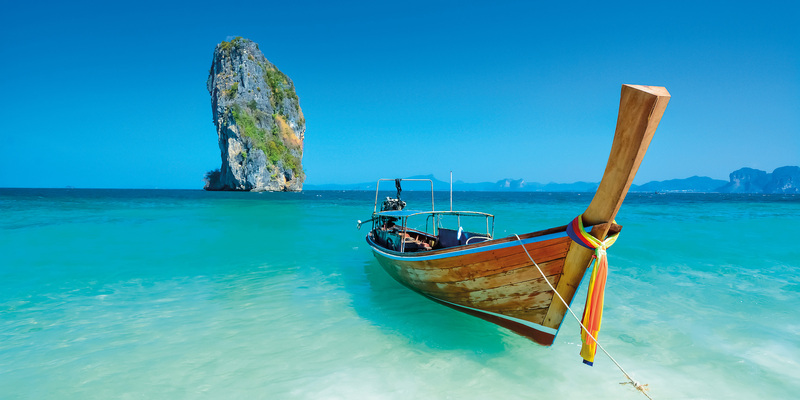 A 12-night cruise from Singapore to Fremantle exploring Thailand, Malaysia and Bali on Sea Princess. Priced from $1999* per person twin share the cruise departs Singapore on November 6, 2017. A 17-night roundtrip cruise to New Zealand from Adelaide, departing January 8, 2018, on Golden Princess with fares from $2899*per person twin share. A 22-night cruise from Tokyo to Sydney on Diamond Princess, departing November 19, 2017 and visiting Shimizu and Osaka in Japan, Hong Kong, Nha Trang and Ho Chi Minh in Vietnam, Bali and Darwin. Fares start from $2799* per person twin share. ROYAL CARIBBEAN INTERNATIONAL STATEMENT CONCERNING OVATION OF THE SEAS. Royal Caribbean International Statement Concerning Yesterday’s Issue. While the majority of this has been written by Royal Caribbean International themselves the last three paragraphs which have been written by myself are equally important to note. We are truly sorry to have upset guests who are affected by the change of date of Ovation of the Seas’ repositioning cruise on 23 January 2017. It was not our intention to disappoint our guests booked on this cruise and it was certainly not a decision we took lightly. We did however want to make everyone aware of these changes as soon as possible. We are now quickly finalising the new itineraries and we will shortly be contacting everyone booked on this cruise - either through their travel agent or directly - to discuss cruise and flight arrangements. We apologise to those guests who have not heard directly from us, as we do not have the contact details for the majority of guests who booked through travel agents. We expect all guests’ communications to be completed in the next two weeks. Affected guests will have first choice to re-book any of the new sailings on Ovation of the Seas, including the revised repositioning cruise one month later, or receive a full refund of any deposits paid. We can also confirm that we will assist all guests with flight and hotel change fees for the affected sailing. However, we urge guests not to make any changes until we contact them with the new itinerary details. In regards to the above I have also been told that each and individual case for every guest that has been affected by what has happened will be dealt with on a case by case basis. It just depends on the person or persons who have booked and what there issues might be. Royal Caribbean International is certainly not ignoring any one nor are they just sweeping it under the carpet, as per what some people might think. All that I would ask is for people to be patient and I know that might be hard for some depending on your situation. But in the end this will be resolved, hopefully to what each individual party and Royal Caribbean International come to terms with for a mutual beneficial result for everyone involved. "XCELERATE" HIGH SPEED INTERNET COMING TO A CELEBRITY CRUISES' SHIP NEAR YOU. Celebrity Cruises has just announced its latest modern luxury experiential offering: the addition of Xcelerate – cutting-edge, high-speed internet capability – across its entire fleet. Xcelerate will make it easier for guests to stay connected while on holiday, with higher-speed internet at sea that will allow for faster web browsing, accelerated page loads, and more dependable video streaming capabilities. Xcelerate provides the type of wi-fi access that modern luxury travellers have come to expect. With the improved capability, guests on Celebrity’s ships now will be able to access, with ease, some of their favourite technology for staying connected, such as Facebook, FaceTime, Skype, YouTube, Netflix and more, with ease. Xcelerate is yet another incentive for travellers to take advantage of Celebrity’s signature “Go Big, Go Better, Go Best!” offer, which includes the opportunity to enjoy free unlimited streaming internet onboard. Guests who book an oceanview or higher stateroom and “Go Big” can enjoy a free perk from the choice of Classic Beverage Packages, unlimited internet packages, gratuities or US$150 (per first two passengers) to spend onboard. Passengers can even choose to upgrade and “Go Better” to get their choice of two perks, or “Go Best” and get all four perks, plus a Premium beverage package upgrade. Most of Celebrity’s 2017-18 sailings are eligible for “Go Big, Go Better, Go Best!”. Celebrity offers numerous Xcelerate packages, all of which can be pre-booked before departure or purchased onboard for the same rate. Xcelerate’s streaming features are well-suited to the unlimited package, which starts at US$140 per person for five to nine days and US$199 per person for 10+ days. Information supplied by : Celebrity Cruises. 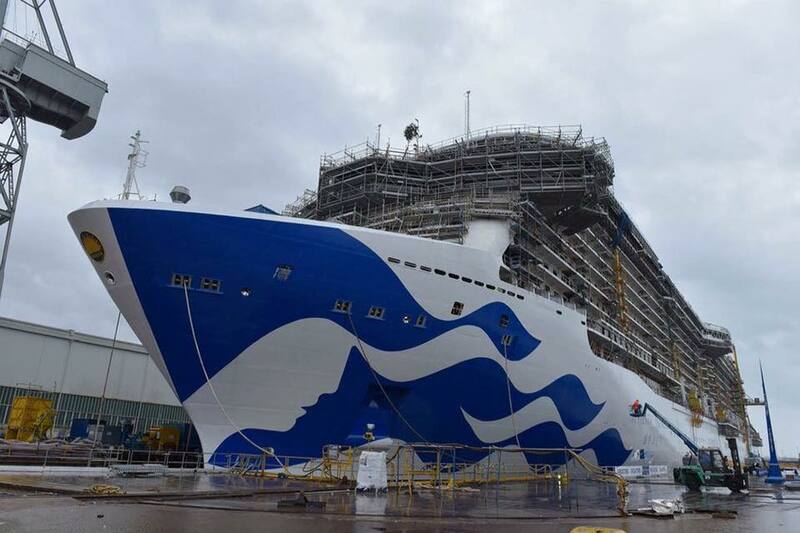 PRINCESS CRUISES UPS THE ANTE WITH TWO NEW BUILDS ! Princess Cruises has announced that it has reached an agreement with Italian shipbuilder Fincantieri S.p.A. to build two new ships, entering into service in 2019 and 2020. The contract was signed on Saturday (April 2) at a ceremony at Fincantieri’s shipyard in Marghera attended by Italian Minister of Infrastructure and Transport Graziano Delrio, Carnival Corporation Chairman Micky Arison, Carnival Corporation CEO Arnold Donald, Fincantieri CEO Giuseppe Bono and Stein Kruse, CEO of Holland America Group, which includes Princess Cruises. “We are incredibly proud and excited to add two new ships to our already formidable fleet,” Princess Cruises Vice President Australia & New Zealand Stuart Allison said. The unnamed 143,700-tonne, 3560-passenger ships will be the brand’s fourth and fifth Royal-class vessels, featuring an evolution of the successful design platform used on Royal Princess, Regal Princess and the new Majestic Princess coming in 2017. The new Princess ships will include the signature elements that have become synonymous with the brand’s best-in-class guest experience featuring a soaring central atrium, multiple dining, entertainment and retail venues; an outdoor theatre experience; and 80 per cent of all staterooms with balconies. The ships will also include new innovations to enhance the guest experience even further. Specific features and amenities for the ships, along with deployment details, will be revealed in the near future. The finalisation of the contract follows the announcement late last year of a memorandum of agreement between Princess Cruises’ parent company, Carnival Corporation & plc and Fincantieri for five new ships including the Princess Cruises’ new builds. As the world’s largest travel and leisure company, Carnival Corporation has an existing fleet of 100 cruise ships and a total of 16 new ships scheduled for delivery between 2016 and 2020. OVATION OF THE SEAS SET TO MAKE HER MARK IN THE AUSTRALIAN CRUISING MARKET WITH ADDITIONAL SAILINGS ! Ovation Of The Seas Set To Make Her Mark In The Australian Cruising Market, With Additional Sailings ! Today Royal Caribbean International made a double announcement regarding Australia’s very first new-build cruise ship, the ground-breaking US$1 billion Ovation of the Seas. The company revealed that the newest, biggest and most technologically advanced ship for Australia will now extend her maiden season down under with four extra cruises during this forthcoming summer 2016/17 season. In addition, it was confirmed that Ovation of the Seas will return for a second season in summer 2017/18 due to the extraordinary demand for the ship from Australians. Together these new programs will add almost 60,000 new beds to the local cruise market. “The level of interest for Ovation of the Seas has exceeded all of our expectations; we’re currently over 90 per cent sold for next summer’s sailings,” said Adam Armstrong, managing director, Royal Caribbean Australasia. “She is a true game-changer and such was the high demand for the ship that we’ve been able to secure four extra cruises from Sydney, which will extend the season into late February 2017. 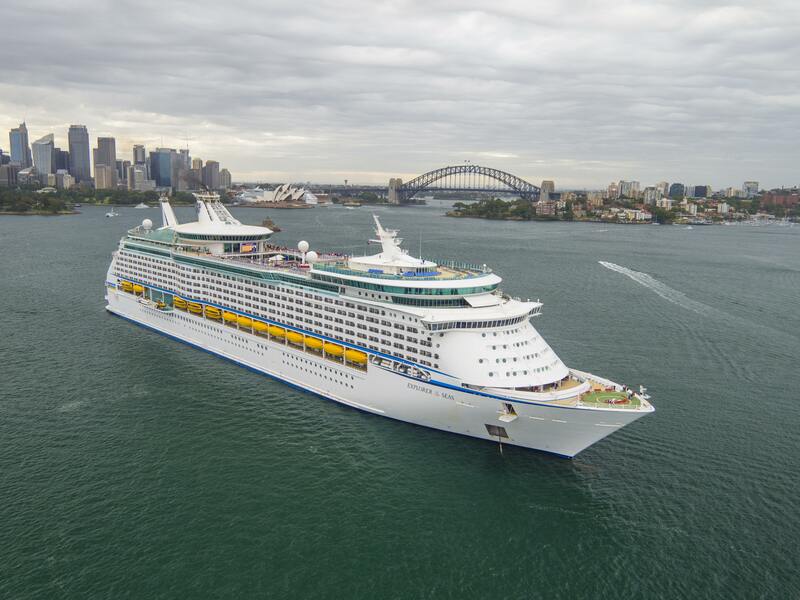 “This extension of her maiden season – plus her subsequent return in summer 2017/18 – reaffirms Australia’s position as one of the most significant cruising markets in the world and Royal Caribbean’s position as Sydney’s leading cruise line,” Armstrong continued. “We are delivering Australians the most modern style of cruising from their doorstep – a style they previously had to travel overseas for. Australia has asked for more and we will deliver; four more cruises, a return at the end of 2017, and more opportunities to experience a brand new era of cruising on Ovation of the Seas, purpose-built for the Asia Pacific market,” Armstrong concluded. 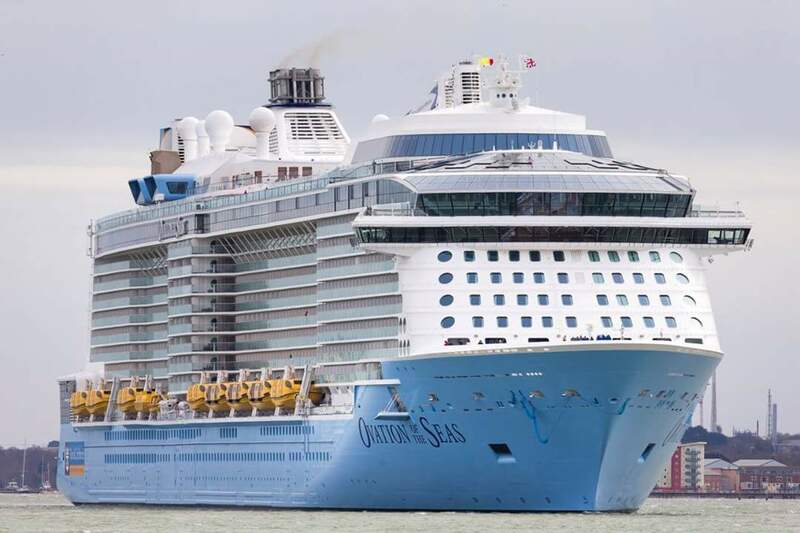 When she debuts in April, Ovation of the Seas will claim the title of equal third largest cruise ship in the world – eclipsed only by Royal Caribbean’s twin ships Allure of the Seas and Oasis of the Seas. She is the third ship in the ground-breaking Quantum Class and brings a set of first-at-sea experiences to Australia including Ripcord by iFLY, a heart-pounding skydiving experience; the North Star glass viewing pod, a stunning new way to see the world from 90 metres above sea level; cutting-edge venues that change from day to night, including SeaPlex, the largest indoor sports and entertainment complex at sea with bumper cars, a circus school and more; Two70 an immersive, multimedia entertainment venue complete with dancing Roboscreens; and the robotic Bionic Bar, where robots stir and shake your drinks. Ovation has reimagined dining on a cruise ship with a choice of 18 unique restaurant concepts, including Jamie’s Italian, Michael’s Genuine Pub, the enchanting Wonderland and Royal Caribbean favourites like Chops Grille steakhouse and Izumi Japanese. Technology has been amped up with high speed internet offering the fastest bandwidth at sea so guests can connect and stream as quickly as they would onshore, while the Royal iQ app makes keeping track of your onboard schedule simple with all bookings and cruise details stored and updated automatically. Ovation of the Seas is nearing completion and will launch later this month, sailing from Southampton for a short sojourn in Europe before repositioning via Dubai and Singapore on a 52-day “Global Odyssey” to arrive in Beijing (Tianjin) for her inaugural China season commencing 24 June 2016. On 30 November 2016, she will set sail on a 15-night Singapore to Sydney voyage via Fremantle, Adelaide and Hobart, repositioning to her new home down under for her maiden Australian season in December. Guests who are booked on the 23 January 2017 repositioning cruise from Sydney to Singapore will be contacted directly and offered first choice of sailings to rebook, including the revised repositioning itinerary scheduled for four weeks later.